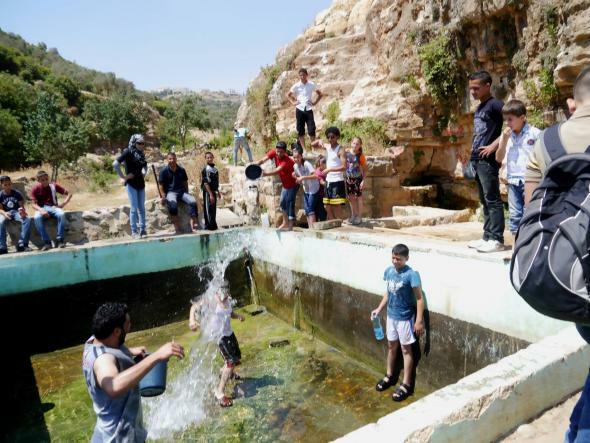 The village is located just to the north of Ramallah city and has seven water springs. In the early seventies the settlement of Beit El was established on thousands of acres of village lands and continues to expand and steal more land from the villagers to this day. 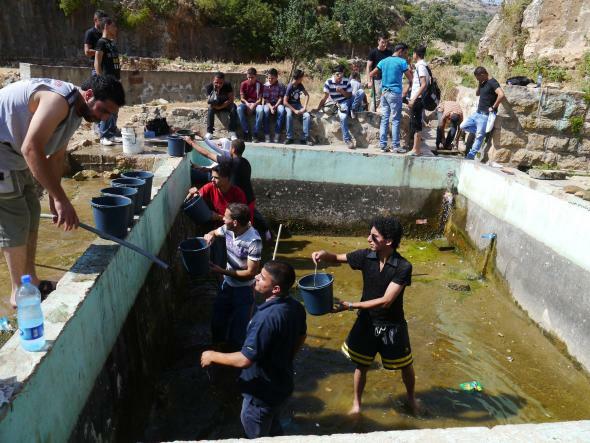 Springs that are located in Area C, the areas of the West Bank that are under full Israeli control, are often cut off from the villagers as the Israeli Occupation Forces (IOF) and settlers use them for recreation and water supply. Area C is constantly the focus of such policies from Israel, aimed at ethnically cleansing the entire area of Palestinians. Such actions as these aid the villagers in reclaiming the land and affirming their right to access the resources that Israelis try to steal from them. 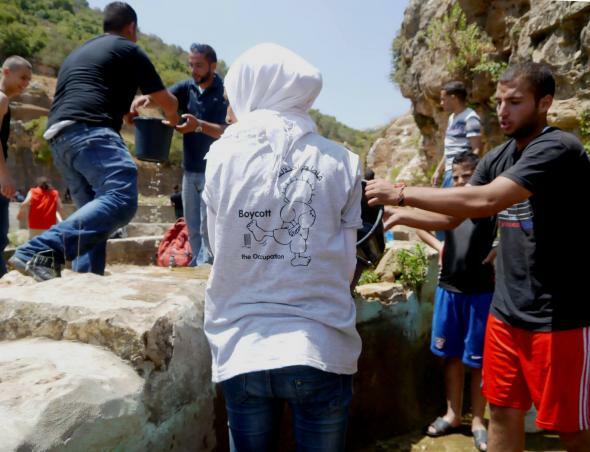 Such actions are being carried out by volunteers, particularly Palestinian youngsters, in a number of threatened areas such as al-Walajeh and Wadi Qana.